The manufacturer of Dr. Hauschka Skin Care began exclusively as a developer of natural medicines in 1935. In the early days of its history, the company was considered avant-garde and—pioneering. This was not the case everywhere. 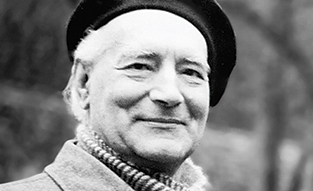 Anthroposophic doctors were one of the primary groups to enthusiastically seize upon Rudolf Hauschka’s procedure for producing natural medicines without using alcohol as a preservative. 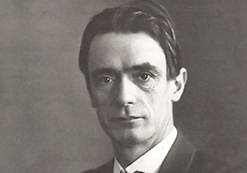 The demand for his preparations encouraged Dr. Hauschka to establish his company in 1935 and open subsidiaries in Vienna and London shortly thereafter. Following a ban by the Nazi Party and the imprisonment of Dr. Hauschka and his future wife Dr. Margarethe Stavenhagen, the company was relocated several times before finally settling in Bad Boll/Eckwälden in 1950, where its offices, gardens and farms remain today. For years, Dr. Hauschka considered launching a natural skin care range to complement his medicines, however, his ideas only became a reality in the early 1960s when he met Elisabeth Sigmund, an esthetician who had been using WALA remedies in her own skin care products. At Dr. Hauschka’s invitation, Elisabeth Sigmund travelled to Eckwälden from her home in Stockholm to work with Dr. Hauschka’s experts to develop facial care products that support skin health as a means of achieving beautiful skin. They jointly created solutions for stable cream bases without chemical and/or synthetic emulsifiers and scented with natural essential oils. The first products were launched in 1967; four years later, Elisabeth Sigmund trained the first Dr. Hauschka Esthetician in what became known as the Dr. Hauschka Classic Treatment, the foundation of all the Signature Treatments that have followed. 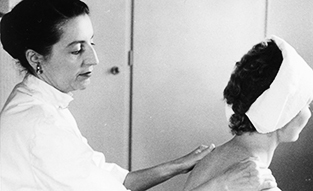 Dr. Hauschka Skin Care remains highly committed to the pioneering spirit of its early days. In 1999, the company launched a natural make-up line that enhances a woman’s natural beauty while nourishing her skin. Over the past decade, the Regenerating line of products has been introduced for mature skin, body and bath products have been reformulated to complement the needs of people today, and our packaging has been given a new look that shows an appreciation for our past while looking to the future. And there are many good things to come.